What is the display column? Each table in Coda has a single Display column giving you control over which column Coda should show in the doc when you reference a row. 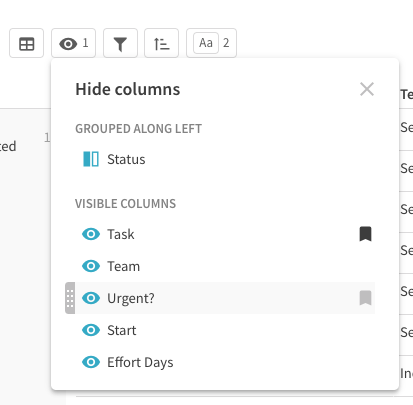 For example, if you had a table of tasks, you would want the Display column to be the unique tasks. 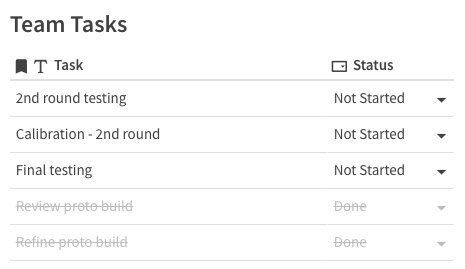 That way, when you linked to the specific tasks within the doc, Coda would show the task title instead of another column, like the status. How do you know which column is the Display column? The Display column will have a flag icon. In the table below, the 'Task' column is the Display column. Where will the Display column of a row show up? You'll see the Display column in a few places in your Coda doc. 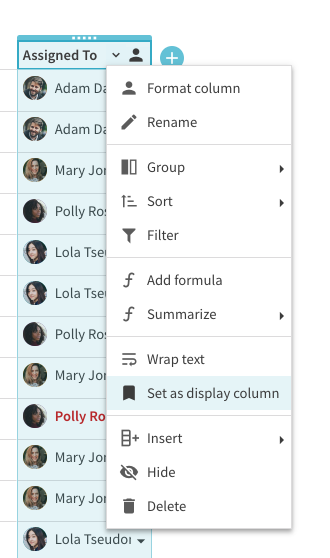 If you link to a row in the canvas of your doc, you'll see the Display column as the text. And if you are pulling data into a column using the Lookup format, you'll see the Display column as the value. How do I change the Display Column?